Join us at the Queens Museum for an afternoon of hands-on activities exploring the themes of migration and diversity in Queens! Find your community on our giant puzzle map of Queens, write a love letter to your neighborhood, and have a free portrait taken. Our activities will be led by Bridget Bartolini of the Five Boro Story Project, Fernanda Espinosa of People’s Collective Arts/Colectivo de Arte Popular, and Annabel Short, creator of the 30th Ave: A Year in the Life of a Street blog. 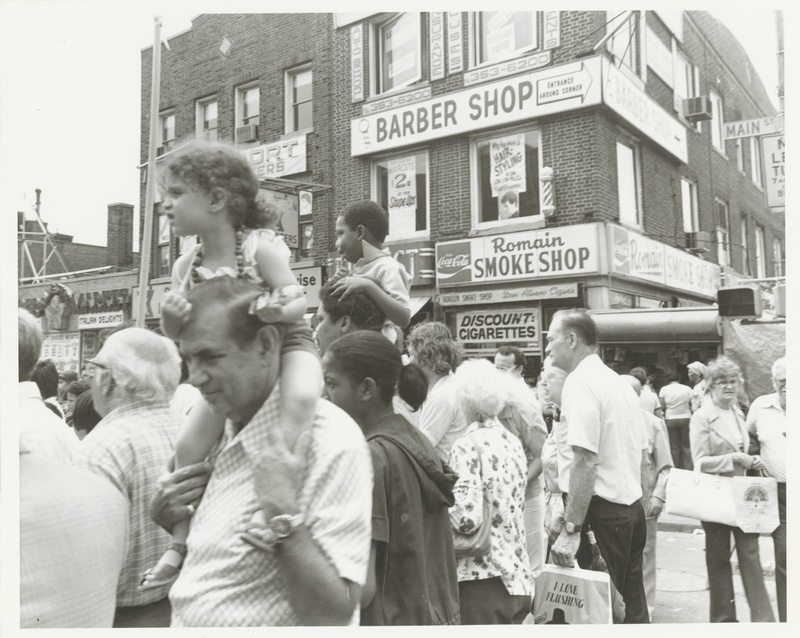 We will also display archival photos relating to the history of diversity in Queens. This event is the culminating celebration of our NEH-funded 50 Years of Integration series. Bridget Bartolini is a socially engaged artist and educator who uses story-sharing to strengthen community connections. In 2013, she launched the Five Boro Story Project, which produces community storytelling events that bring New Yorkers together through sharing true stories and art inspired by our neighborhoods. Bridget was 2014 Commissioned Artist with The Laundromat Project and an artist in residence with More Art’s Engaging Artists 2016 Housing Justice Residency. Annabel Short lives in Astoria, Queens. In 2011 she authored the blog 30th Avenue – A Year in the Life of a Street, for which she interviewed 52 people who live or work in the neighborhood. She also founded the I Live Here – Queens project, which is gathering the words for “I live here” in the 160+ languages spoken in the borough. Annabel is deputy director of ALIGN, the Alliance for a Greater New York. Fernanda Espinosa is an Ecuadorian New Yorker. She collaborates on oral history-based art projects and likes to organize through culture and language. She is a member of the group People’s Collective Arts/Colectivo de Arte Popular.